If you are searching for the next generation of groundbreaking space innovators, look no further than The Weiss School. Behind the doors of this remarkable pre-kindergarten through eighth-grade private school in Florida is a group of exceptionally gifted students who are preparing to launch a CubeSat they built. The students are led by experienced and dedicated instructors, including Kevin Simmons, an Albert Einstein Distinguished Educator Fellow. Simmons is a space-junkie with extensive expertise in the science field. Since graduating with degrees in Biochemistry and Chemistry, and completing Masters level classes in Aerospace Science, he has worked as senior policy analyst at the National Science Foundation in Washington, D.C., and founded various space education companies such as BLUECUBE Aerospace and Tekna Theos. Simmons arrived at The Weiss School in 2015 with the intention of creating a program that would give students the opportunity to design, build and launch a satellite. He now teaches aerospace as an elective and holds weekly meetings for the more than 40 students involved in the creation of the satellite, set to launch this year on Spaceflight’s dedicated rideshare mission SSO-A: SmallSat Express aboard a SpaceX Falcon 9. In addition to work done within school walls, The Weiss School also provides students with the opportunity to travel and learn about the space industry from a broader perspective. In past years students have participated and spoken at national space conferences and advocated for space initiatives in Washington, D.C. through the Space Exploration Alliance and the American Institute of Aeronautics and Astronautics (AIAA). The school’s advanced space education enabled The Weiss School to become one of six AIAA high school chapters. Despite being a middle school, The Weiss School was able to become a high school chapter due to the extraordinary work they do, as well as the fact that several alumni of the school’s Weiss CubeSat Development Team (WCDT) (now high schoolers) are still participating in the program. In a continuing effort to include a wide range of students in space education, The Weiss School hosts an aerospace, communications and engineering summer camp for four weeks every summer. In addition to learning basic orbital mechanics skills, communication skills are emphasized to equip the students with the ability to speak articulately about what they are learning in the STEM field. “We try to develop various space programs with a multitude of student interests in mind,” said Simmons. The Weiss School recognizes that space is not just for rocket scientists. When choosing a purpose for the satellite, named WeissSat-1, the school chose to relate it to life sciences so those interested in biology would be inclined to participate in the project as well. Students self-identify which role they would like, whether as an architect, project manager, biologist or system developer. “There is room for anyone and everyone to participate in the project,” added Simmons. One student joined because of the biology discipline attached to the program. “I am intrigued by the idea of life around the universe,” he said. His role within the project was working on the payload, ensuring the biology within the satellite was ready to be tested once in orbit. He emphasized the enjoyment of working alongside students with different interests than his own. Students from WCDT designed WeissSat-1 to test the viability of aerobic and anaerobic bacteria that have been thawed after being entrapped in ice, which often happens on comets nearing the sun in Low Earth Orbit. It will use a novel lab-on-a-chip system to demonstrate a live/dead fluorescent dye staining to gauge results. The program received a grant from NASA’s CubeSat Launch Initiative, which is funding the rideshare launch on SSO-A. The initiative provides access to space for CubeSats developed by educational institutions. 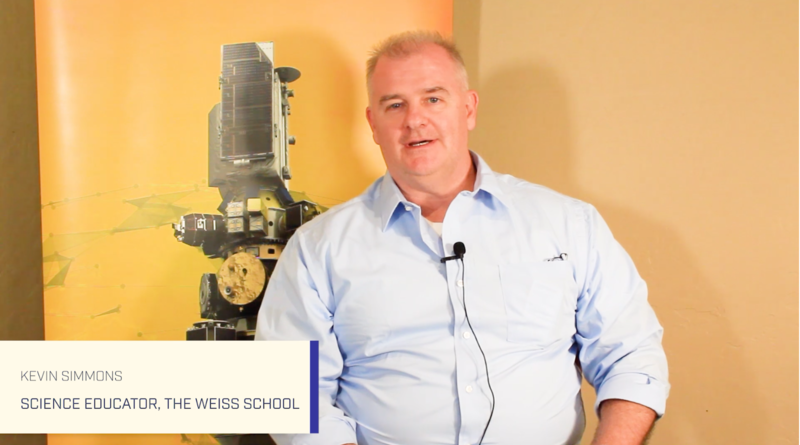 The development of WeissSat-1 is monumental for every student at The Weiss School, regardless of whether they were involved in the project or not. Simmons says it is like “cheering for your favorite sports team.” All of the students at the school are emotionally invested in the three-year project and feel pride in watching the WCDT succeed. WeissSat-1 is the school’s first satellite, and they are grateful to Spaceflight and its team of mission managers and engineers for guidance through the launch process. The school makes sure that its students are involved in every aspect of the mission, and they are invited to sit in on weekly calls with Spaceflight to discuss launch details and logistics. “The students are happy to go to space in general, and working with Spaceflight has only improved the experience,” said Simmons. Simmons and the WCDT have been focusing all of their time on developing and preparing the satellite. They rely on Spaceflight to manage any duties related to the launch. For instance, Spaceflight has assisted in ensuring WeissSat-1 meets all regulatory requirements and is prepared to launch later this year. The Weiss School’s students are poised and passionate about changing the world, and aren’t waiting around until they are older. 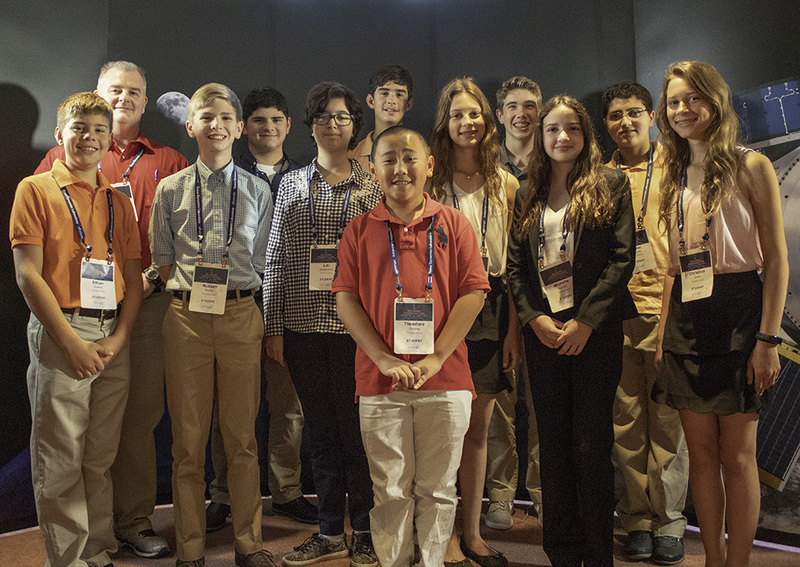 These middle-schoolers are already making waves within the space industry on a national level. This past August, Simmons took 12 WCDT members to the 2018 Small Satellite Conference in Logan, Utah. Not only did students get the chance to network with industry leaders and learn about new technology, they were also selected, based on merit, to speak at the conference. In addition, Florida Rep. Brian Mast visited The Weiss School recently and praised students for their work on the satellite and the inspiration it will serve to other schools interested in space exploration. WCDT members then worked with Mast’s legislative director to write a resolution to increase funding for NASA projects such as its CubeSat Launch Initiative, which Mast later introduced to the U.S. House of Representatives. Students then took their efforts to Washington, D.C. to participate in the Space Exploration Alliance Legislative Blitz. They were given the opportunity to visit NASA headquarters where they received a briefing from Space Exploration Alliance leaders, as well as meet members of Congress and continue advocating to increase funding for NASA. The opportunities for students at The Weiss School are endless as the school works toward helping them succeed in whatever career they pursue. Simmons’ goal is for his space-focused students to work on two satellites by the time they graduate high school – a unique and prestigious addition to a college application, as well as on job applications further down the road. Satellites are only the beginning of what The Weiss School hopes to accomplish in space. “Eventually, we want to send a rover to the moon,” said Simmons. Students will participate in their first Preliminary Design Review of their rover with Aerojet Rocketdyne engineers in March 2019. In addition, The Weiss School wants space education to be readily available to a broad spectrum of students. Simmons and other educators are currently working to secure a grant to fund teacher training at Title-1 schools to help fuel space education and access to space for less-fortunate children. The Weiss school’s space education program is a source of inspiration for its students, encouraging mentorship between grades, as older students studying space often speak to classes of younger students to excite them about the work the school is doing in space. Simmons notes that parents of three-year-old students at the school have told him how excited their children are to grow up and join the WCDT to send objects to space. The school is proud to be expanding the knowledge of these exceptional students, and helping to shape the next generation of space innovators, whose enthusiastic program participation will surely have an immense impact on the space industry and beyond.